One compartment sink. 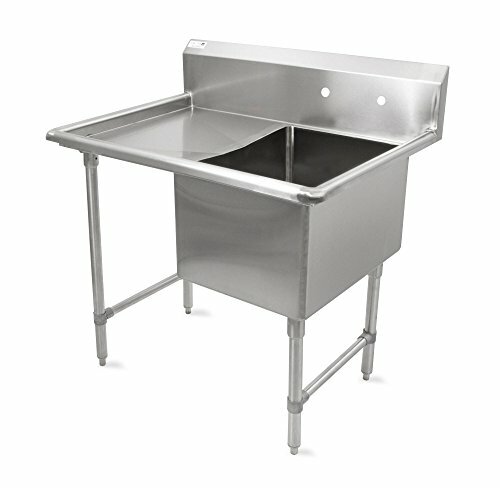 16 Gauge 300 series stainless steel bowl and deck. Stainless steel legs and bullet feet. Includes front to back adjustable stas. Bowl measures 18" length by 24" width by 14" depth. Measures 40" length by 29-1/2" width.